Published 26 January 2015 at 3264 × 1937 in Ooops – it’s been 4 months!! 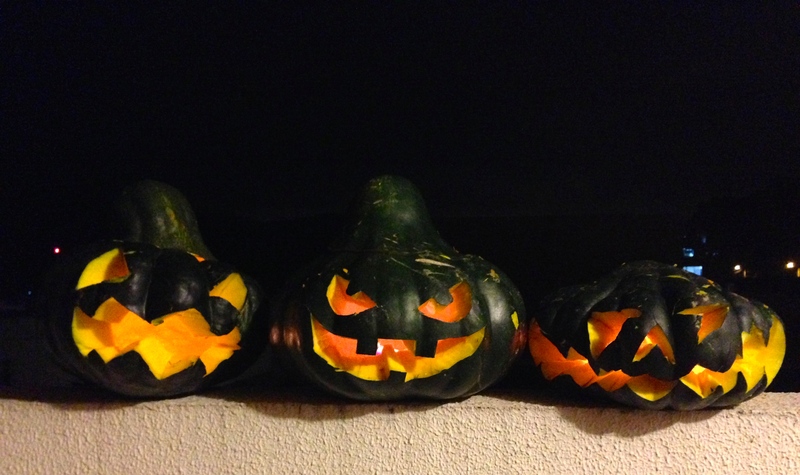 No orange pumpkins but we have green squash that are very similar! Thanks to Amy and Caro, E carved his first “pumpkin”!